The British Library has struck a deal with Google to make a portion of its enviable collection of 17th and 18th century texts available to search and view online. 250,000 texts written between 1700 and 1870 are included in the Google deal, with the out of copyright books and manuscripts available to be read, searched and copied for free either on the British Library's website or through Google Books. The texts will be selected by the British Library, while Google will carry out and pay for all the digitising. "Through this partnership we believe that we are building on this proud tradition of giving access to anyone, anywhere and at any time. Our aim is to provide perpetual access to this historical material, and we hope that our collections coupled with Google's know-how will enable us to achieve this aim." "What's powerful about the technology available to us today isn't just its ability to preserve history and culture for posterity, but also its ability to bring it to life in new ways. "This public domain material is an important part of the world's heritage and we're proud to be working with the British Library to open it up to millions of people in the UK and abroad." The deal also gives Google Books a leg up in the ebook catalogue stakes, setting it apart from competitors like the Amazon Kindle library and Apple's iBooks. 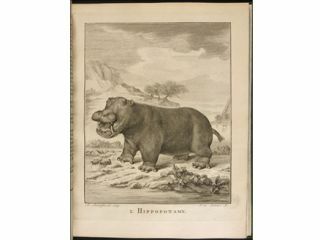 It's only really a bonus if you're after 18th century texts, like an account of a stuffed Hippopotamus owned by the Prince of Orange, though. If 19th century philosophy, history, poetry and literature are more your thing, you'd better head to the Kindle.